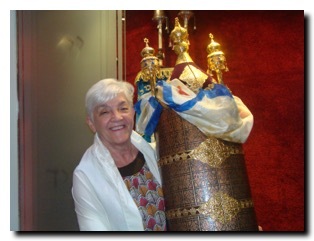 My husband Boris, photographed the ancient Torah scroll featured on the front cover, now housed in the Museum of the Jews of the Middle Ages, in Girona, Spain. While strolling through Girona’s restored historic district, which includes the remains of the Jewish Quarter (Call) we came upon the Bonastruc Ça Porta Center for Jewish Studies and the Museum of the Jews of the Middle Ages. To our amazement, we learned this was the place where the renowned scholar Maimonides—also known as Rabbi Moses ben Naḥman Girondi, Bonastruc ça Porta and by his acronym Ramban, (Girona, 1194 – Land of Israel, 1270), a leading medieval Jewish scholar, Catalan rabbi, philosopher, physician, kabbalist, and biblical commentator. 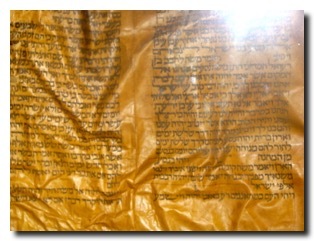 The second element on the cover, an Ashkenazi and a Sephardic Torah scroll, was taken in the Montevideo, Uruguay Synagogue.